please read EVERYTHING below in order to book an appointment with me. Due to the amount of messages I get each day I’m pretty busy and therefore not able to respond immediately. It usually takes me one (up to 3) day(s) to respond to emails due to the high volume of emails I receive. I will reply to each email so do not send multiple emails (that includes messaging me on instagram/ facebook). Also I don’t read or reply to social media messages because I like to keep it organised via my website only. 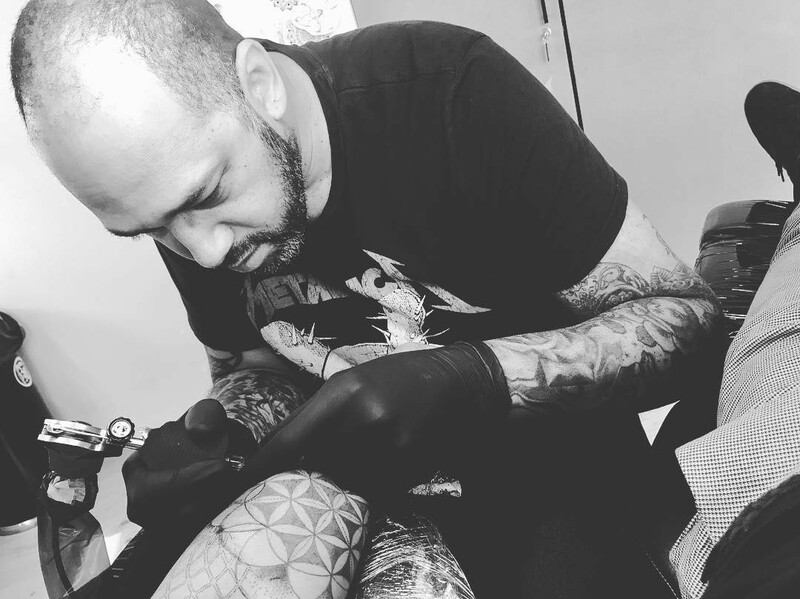 Because I get a lot of tattoo requests I am limiting myself to certain types of projects within my style of tattooing which is abstract geometric, mandalas and patterns (I prefer mainly larger tattoos), please check out my website portfolio or Instagram to get a feel for my style of tattooing. My current waiting list is about 3-4 months long but sometimes I have options for doing tattoos on a shorter notice. Just check with me what is possible. This website is in English because a large part of my clientele come to Amsterdam from all over the world but I speak (and write) fluent Dutch so if you are Dutch, mail me dan gewoon in het Nederlands . Please email me first to check my working hours because they can vary per month. * A detailed explanation of the design you would like to have. * The place on your body and what size you’d like your tattoo to be. * Pictures of tattoos or artwork you like, as inspiration for me. * Picture of your body part that you would like to tattoo. * Your age and if you are tattooed already and where. * If you have a specific date in mind (in case you are not flexible). I will answer all e-mails as soon as I can though it might take me a couple of days because I’m currently very busy with work. If you don’t get a reply within a week please e-mail me again. If you didn’t include ALL the info mentioned before I will NOT be able to answer. All tattoo booking dates are confirmed only once the down payment has been made and received, these are non-refundable. See FAQ for more info. I do not tattoo people under 18 years old. You can also find more info on the Frequently Asked Questions page, click here to read more. Thank you for visiting my website, hope to tattoo you soon.